"Some were kind, a few were quirky, and one, Marjorie Moss, was as wicked as a fairy-tale witch." At the Moss foster home, Marjorie Moss abuses the children in her care and then lies about it to the authorities to save her skin. She beats the children, locks them outside, threatens them with a gun, and pours hot sauce down their throats. Some of the kids try to tell what is going on, but nobody believes them. Mrs. Moss is a "model" foster parent, and even teaches classes for other foster parents(!). When Ashley grew older, she tried to sue Mrs. Moss and her husband, but once again, they lied so they would be safe. To this day, some foster parents still treat foster children like animals or objects, rather than human beings. 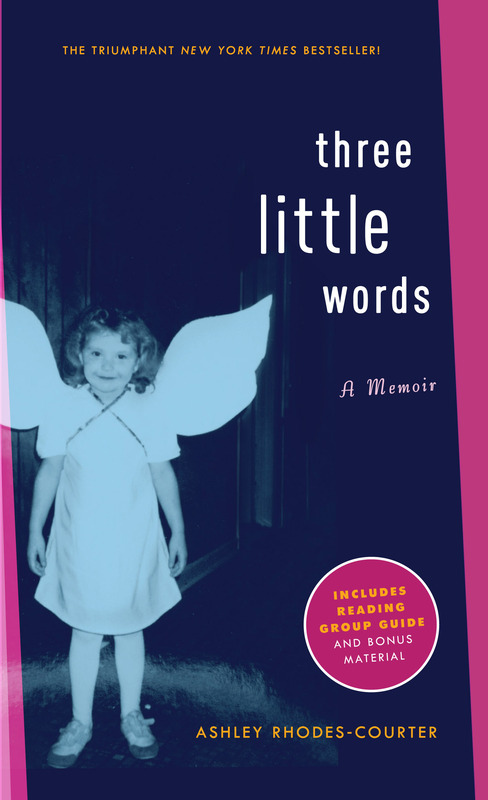 This book is a first-person account of what happens in some foster homes. Ashley wrote a very detailed description of each foster home she lived in, how the foster parents treated her, and what she kept inside. All Ashley wants is to live with her mother again, but as time progresses, she wonders if her wish to be with her mother will ever come true. This book is not to be read by children younger than 11 because parts of the book talk about things like molestation, sexual battery, and abuse. Ashley wants the world to know the hardships some foster children must endure, and has succeeded. Today Ashley is a foster mother herself and has cared for more than twenty kids. She gives speeches about the foster-care system and how to protect our nation's children. Find out more about Ashley at http://rhodes-courter.com/about-ashley/. Look out for the sequel, Three More Words. Daddy's afterthoughts: This book was one of the recommended titles for Julia's "summer reading" between 6th and 7th grade. This is some pretty heavy stuff for that age bracket. I remember when I was her age the controversy swirling around Judy Blume's books (especially Are You There God, It's Me, Margaret and Deenie), and whether or not they we appropriate for 10-12 year-olds. Those books seem innocent and sweet compared to some of what Ashley is exposed to in some of these homes. For mature tween readers, then, or for tween readers whose parents are ready to have some very grown-up conversations. But for what it's worth, Julia reports that she "loved" this book, and read it through 2 or 3 times before sitting down to write her post. And for what it's worth, this memoir is nowhere near as dark as the pseudo-memoir Go Ask Alice, and has a positive ending and strong message.